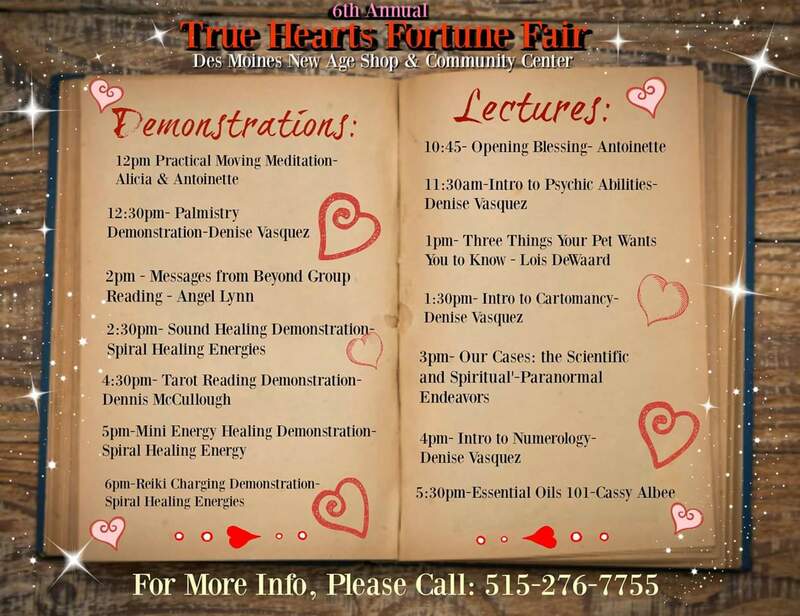 6th ANNUAL TRUE HEARTS FORTUNE FAIR at the Shop Tomorrow(Saturday Feb. 9th)!!!!! True Hearts Fortune Fair is TOMORROW!!!!! Join us thus Saturday (the 9th) for our 6th Annual (SQUUUEEEEEEEE) True hearts fortune fair 11am to 7pm at #desmoinesnewageshop!!! 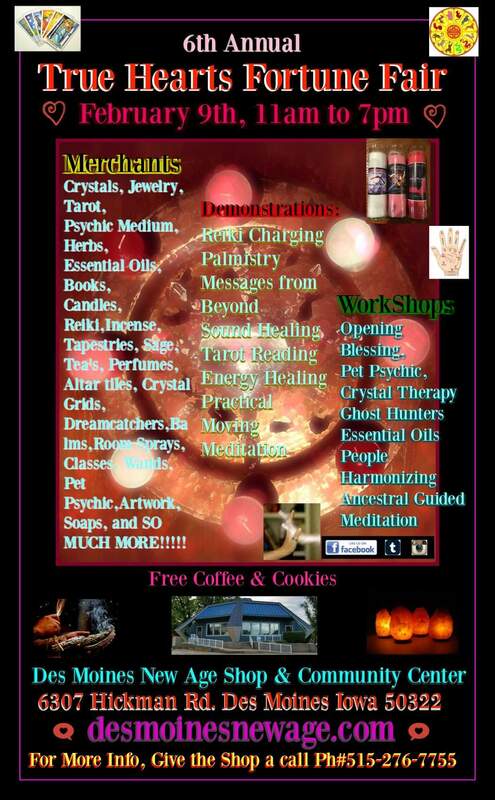 We will have Reiki, Ghosthunters, Palmistry, Tarot readings, Psychic Mediums, Jewelry, Herbs , A ton of Crystals & Gems, Essential oils and SO MUCH MORE!!! Also we are have lectures and demonstrations all day long Including: A spirit gallery, palmistry demonstration , essential oils 101, sound healing demonstration, a quick demo on Practical Moving Meditation- yes I finally put something together after many inquiries!!!! !- and alot more!!!!! Previous PostPrevious Crystal Restock Shipmemt came in at the Shop!!!! Next PostNext Walk through tour of True Hearts Fortune Fair at the Shop!!! !